It's always exciting when a new venue pops up and The Barn PNW did not disappoint! Located in Dayton, nestled amongst the cherry trees lies an adorable red barn with gorgeous cedar doors which also serves as a family run and owned cherry farm. 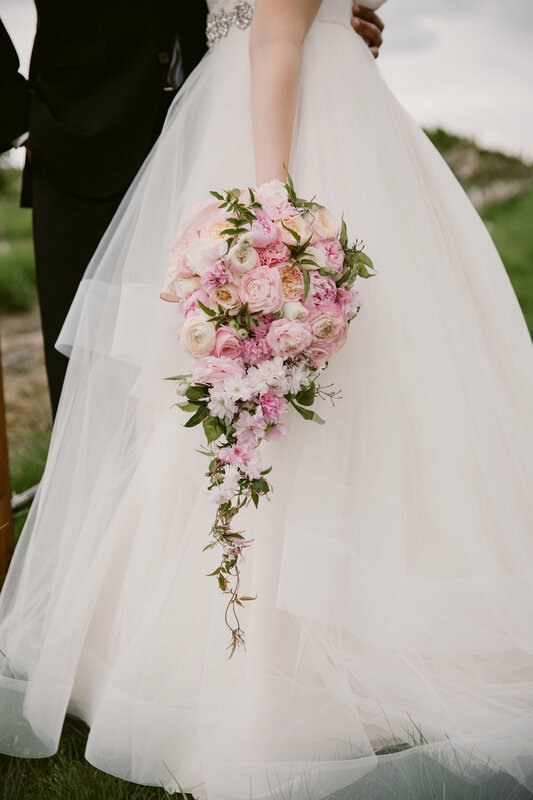 So, when Meghan and I toured the space with Kellye in the spring, we were inspired to utilize the natural elements of the venue as well as incorporating Pantone's colors of 2016 (rose quartz + serenity), and marble (a hot trend right now), all while keeping it elegant and enchanting. 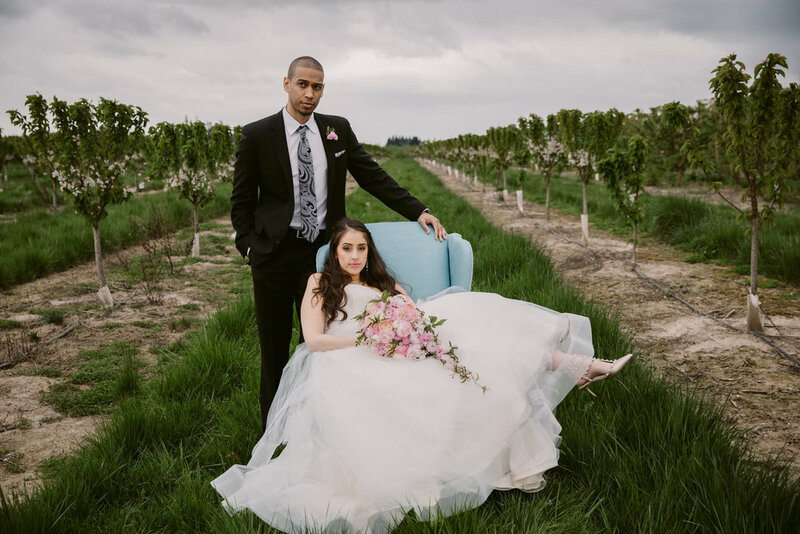 We utilized the venue's trellis, which Bella Bloom adorned with gorgeous greenery, lilacs and lush cherry blossoms, to serve as our ceremony structure. For our tablescape inside the barn, we incorporated gorgeous soft grays and white paisley print linens from La Tavola. 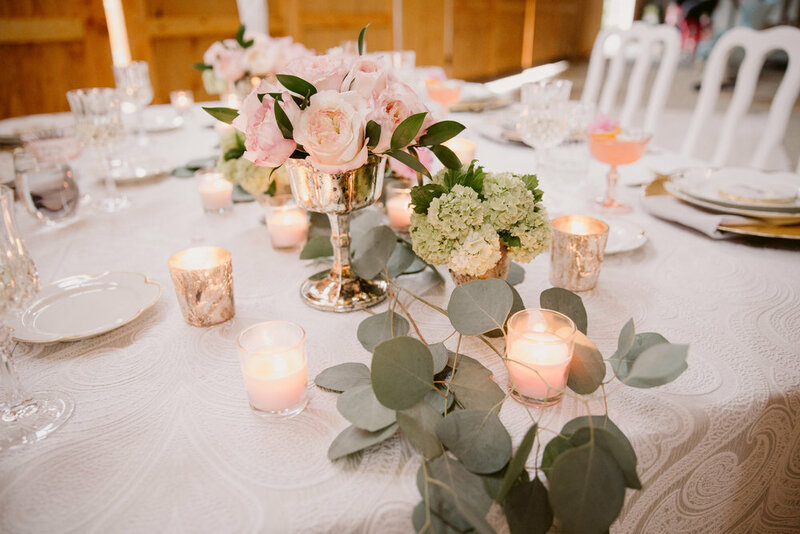 The table included beautiful pieces from Classic Vintage Rentals-- everything from gold rimmed Limoge dinnerware, gold & silver flatware and crystal glassware. 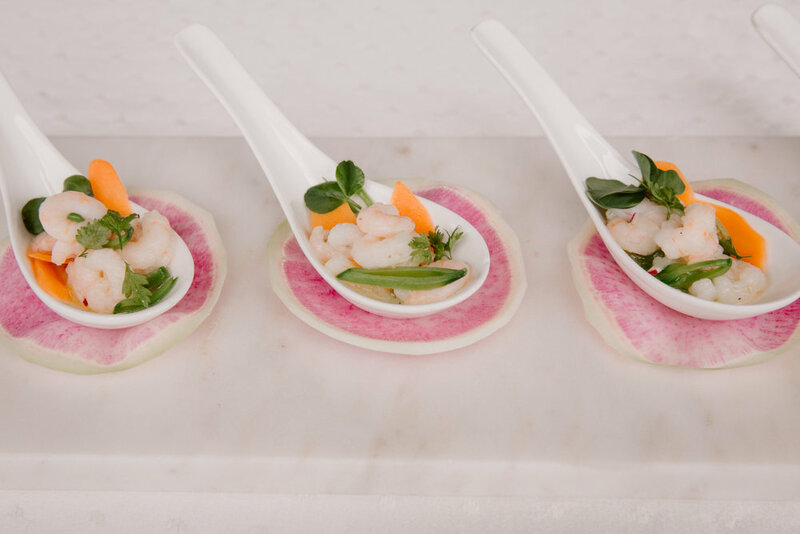 We also featured a signature cocktail inside blush coupe glasses, garnished with Meyer lemon and a cherry blossom. Each setting was adorned by marble coasters with gold rims which served as place settings and marble was also incorporated into the vases and votives. 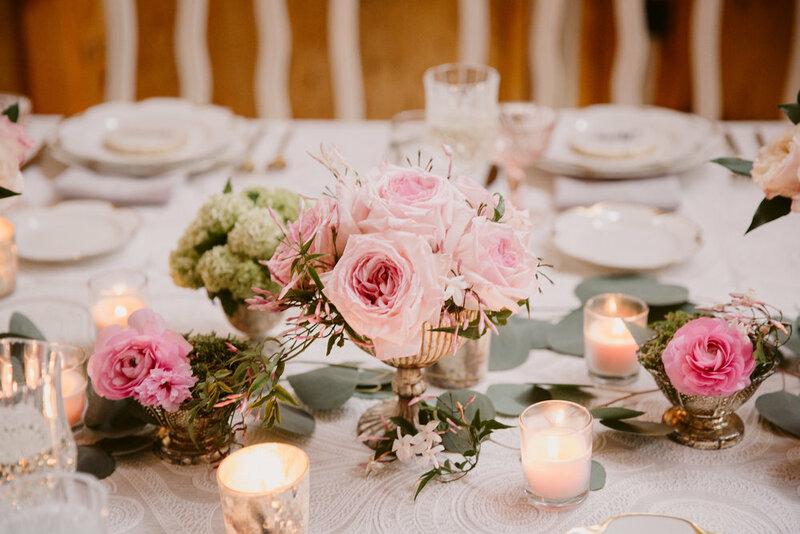 Florals were kept low and lush throughout the table and included soft pink roses, jasmine and even some touches of moss and eucalyptus. 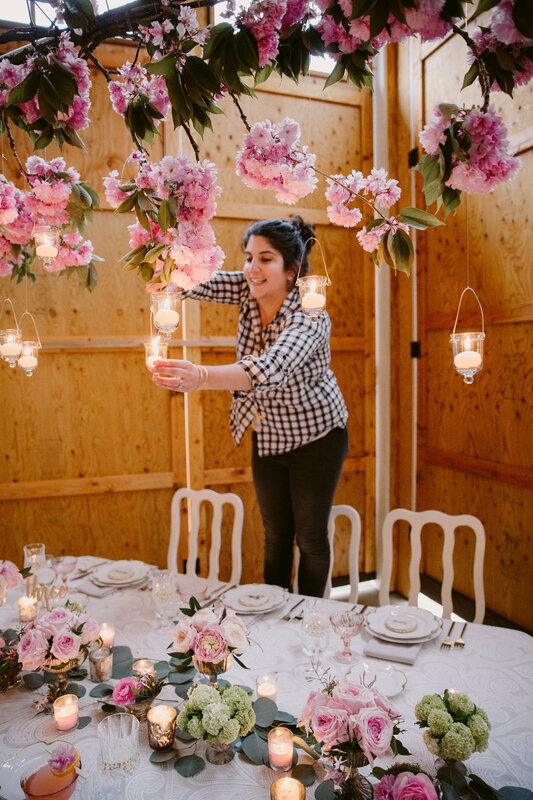 To make a statement, we hung cherry blossoms above the table with tea lights, bringing the look all together (a personal fav!). 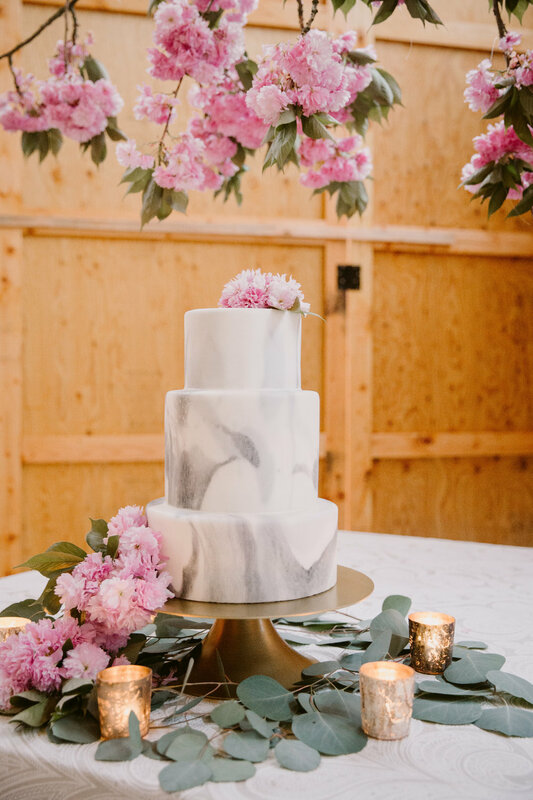 Our beautiful grey and white marble cake, designed by Dream Cakes, sat upon a gold cake stand which we then surrounded by more cherry blossoms and eucalyptus. 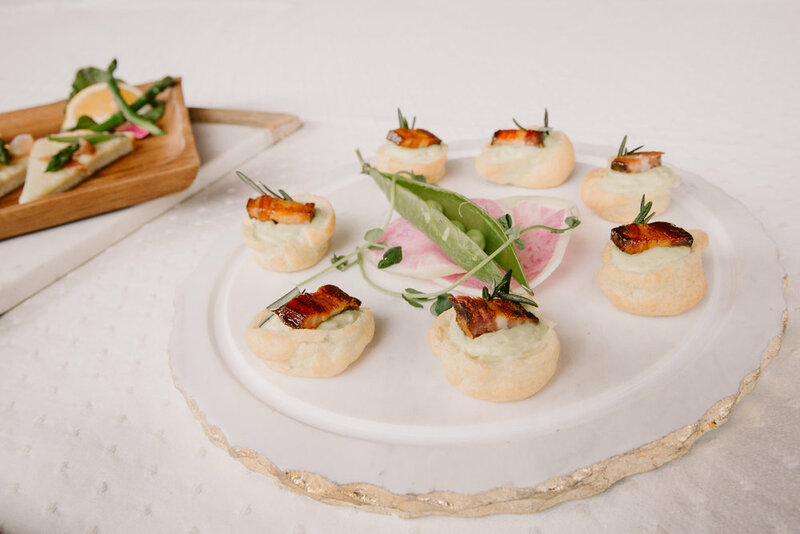 Devil's Food Catering created their signature hors d'oeuvres which were served on marble platters. 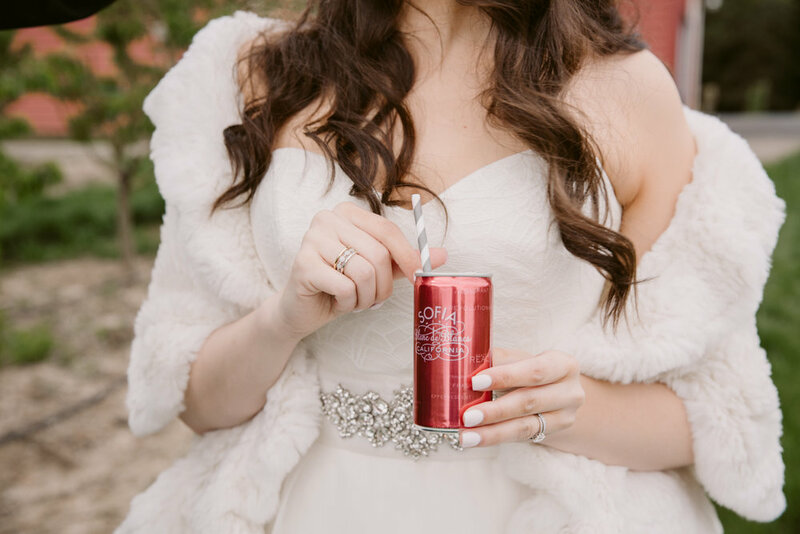 A special thank you to all of the vendors involved (including our cute couple and past clients, Natalie + Jordan!) and Wedding Chicks for featuring on their blog! These shoots wouldn't come together without you all and your creativeness! Thank you! !